Remote weather data, versatile integration. 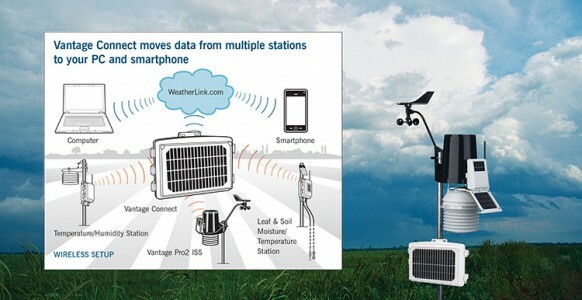 A cellular-based, solar-powered unit sends remote weather station data to the Internet. The Vantage Connect sends comprehensive weather data to the web from remote locations, such as vacation or rental homes, ranches, orchards, farms, vineyards and fire hazard areas that lack power or a person to monitor the weather. A weather station receiver and cellular modem. 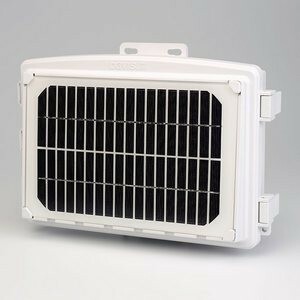 Solar powered with battery backup; does not require any external power sources. Self-contained in a weather-resistant shelter. Alerts you to alarm conditions in the field the moment they occur. Pairs with Davis' Vantage Pro2 or Vantage Vue integrated sensor suite. WeatherLink software requires a computer running Windows® XP or above. iPhone®, AndroidTM and tablet compatible.